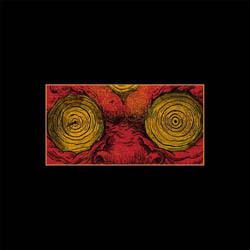 Black Milk’s sixth solo album, If There’s a Hell Below, brings more twists on Detroit funk. There’s the fuzzy techno booty bump of “Detroit’s New Dance Show,” and the rope knots of drum patterns straddling “Quarter Water.” “What’s It Worth” floats along chipmunk loops in a style reminiscent of early works like 2007’s Popular Demand. The too-smooth “Story and Her” finds him whispering “the good stuff” seductively over a neo-soul groove, and then flipping the beat into a slinky but still inviting trap drum roll. On “Scum” he mashes together three beats, just like DJ Premier on Gang Starr’s “I’m the Man,” for a showcase featuring his Random Axe cohorts Sean Price and Guilty Simpson. Unlike last year’s No Poison No Paradise, which seemed more fully committed to its urban squalor theme, If There’s a Hell Below only nods to half-digested ideas of societal dysfunction. For “Up & Out” he shouts out his homies on the street as he raps, “Tell your white friends, though, come and pay us a visit/ Our neighborhoods don’t look like there’s/ Don’t be scared/ When you see teddy bears on light poles everywhere/ You see police watching everywhere you be.” Then there’s a great verse from him on “Quarter Water” (along with a cameo from Pete Rock) about being a boy watching an older cousin “whippin’ up a pot,” and getting curious about “the stacks.” These raps sum up Black Milk’s vocal talents, his bracingly honest lyrics, his labored cadences, and a style that’s good for 16 bars, here and there. They’re just icing on the cake.